Around my house this time of year, the one movie that gets quoted more than any other is “Elf.” Starring James Caan, Bob Newhart, Zooey Deschanel, and a surprisingly PG-rated Will Ferrell in the title role, the movie exudes elfin charm, wide-eyed innocence, and more than a knowing wink-and-nod to the traditional Christmas classics. Besides “Napoleon Dynamite,” it may be the most quotable movie ever. My kids and I will randomly throw out quotes at each other over dinner, during chores, even while playing Madden. One of the things I like about the movie is that there is this clumsy and naive, yet unrestrained moral anchor that underpins the central character. 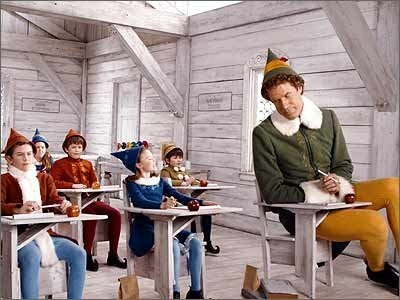 In contrast to the soiled and unsafe world of New York City, Buddy the Elf’s morality seems quaint and old-fashioned, but ultimately—and in Hollywood fashion—wins everyone over in the end. Imbedded in the “Elf” movie quotes we toss at one another are small but significant truths. And though unstated, they are gentle reminders that real meaning is found in the accumulation of the small moments and actions of our lives. Moral: Appreciate the people around you. Moral: It is always important to compliment others. Moral: Take the time to find fun in the mundane. Moral: When possible, invite others to have fun too. Moral: Be honest with your feelings. Moral: When something is wrong, have the courage to speak up about it. Moral: Learn to appreciate the simple things in life. Moral: Fully enter into the Advent season. Worship fully, love selflessly, and be in awe of God’s miraculous Act of Grace. 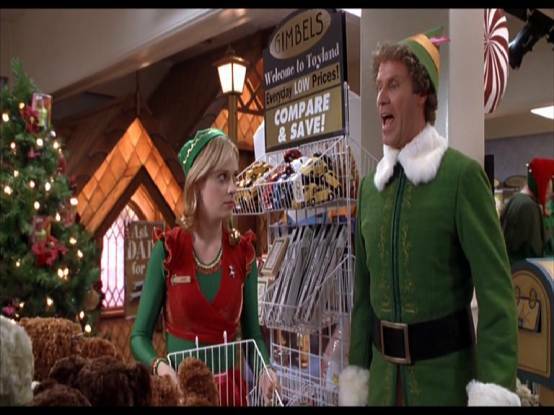 Posted in Blog, christianity, faith, missions, moviesTagged elf, movie quotes, will ferrellBookmark the permalink. Book Signing at Borders Folsom!